EXECUTIVES of a Bulawayo commuter omnibus association, Tshova Mubaiwa, were last Monday allegedly held hostage by an armed businessman, who accused them of trying to sabotage his business, after the association impounded his vehicle for not possessing requisite documentation to operate under the organisation’s banner. 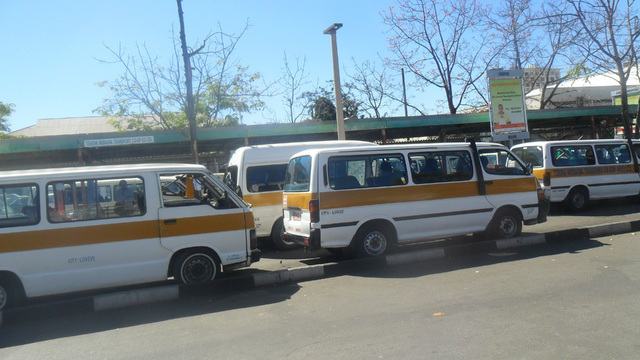 Detectives from the Homicide Department had to be called in to defuse the situation, after the businessman, Elvis Batsira allegedly hit back by reportedly hiring two commuter omnibuses to ferry thugs to instill fear in security personnel at the Tshova-Mubaiwa offices housed in Belmont industrial area. Bulawayo provincial police spokesperson Inspector Precious Simango confirmed the incident, saying the businessman was arrested and fined. “Batsira bought a kombi from a person that was part of Tshova-Mubaiwa Association but did not have proper papers nor did he follow the association’s protocol. His kombi was caught during a Tshova-Mubaiwa blitz meant to rid the association of all vehicles that do not follow protocol, or operate under their banner without paperwork,” said Insp Simango. She said Batsira was arrested but was later released after paying a fine. “He was charged with conduct likely to provoke the breach of peace,” said Insp Simango. However, one of the victims of the hostage incident, which reportedly lasted well over an hour, said they were afraid of Batsira. “It was quite a terrifying scenario. It was around 5pm on Monday when we were driving into the yard to knock off from work. As we were about to enter the gate a speeding vehicle cut us off and blocked our way. It was a green ML Mercedes Benz; we thought we were being hijacked because the vehicle was being accompanied by two other kombis that were full of thugs. They were shouting and cursing. Soon after that Batsira got out of his car and started shouting and threatening,” said the victim who requested anonymity. He went on to allege that Batsira threatened to sue them if they did not release the kombi, before getting into a near-scuffle with one of the personnel from Tshova-Mubaiwa.